Do you remember when you were a kid and you received your first bike? Maybe it was for your birthday or Christmas; do you remember the feeling of when you first set eyes on it? And how that bike became your pride and joy throughout your teenage years? Even today, in the age of smartphones and tablets when kids all seem to spend their lives glued to a screen, the bicycle still has a central role in the life of a teen. Bikes represent freedom and independence – and you need to choose the right one! Here’s our guide to the best bikes for teens. 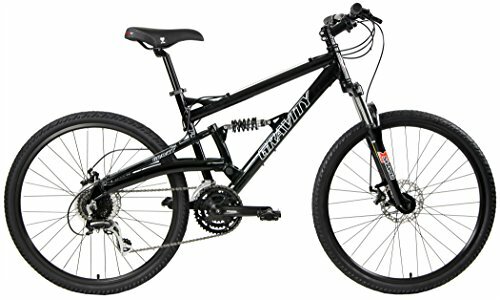 An excellent option for someone looking for a high-quality mountain bike for a larger teen. This bike will last a long time as your teen grows into an adult and is perfectly capable of handling some serious mountain biking as well as urban riding. This bike has several key features that make it a winner. The disc brake system gives you extra reliability, even in the wet, very important in mountain biking. The aluminium frame is sturdy, and the 24-speed Shimano gear system works well. Front and rear suspension absorb all the bumps. This is an adult-sized bike and so is not suitable for younger teens. The tires supplied with the bike are more suited to road cycling and if you want to hit the trails with this, you might consider changing them. If you are looking for a bike destined exclusively for road cycling, this could be a top choice. 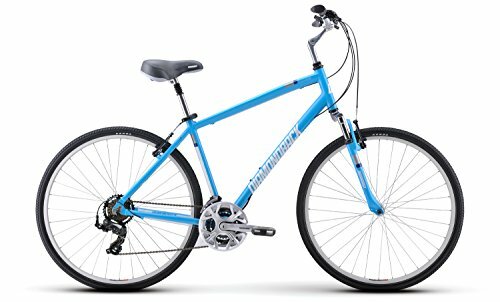 This is an entry-level road bike that would be ideal for a teen for cycling to class or around town and would also be suitable for longer rides. Smallest frame size suitable for older teens. As far as road bikes for teens go, this is one of the best available. It represents excellent value and has everything you need. The 21-speed Shimano gears make cycling uphill effortless, the brakes are reliable, and it is comfortable to ride, even for longer distances. It’s easy to assemble once it arrives and – importantly for teens – it looks great. On the downside, being a specialist road bike, it is unsuitable for riding on unpaved surfaces. The supplied inner-tubes also tend to lose air quickly and you may prefer to replace them. This is the bike to go for if you are looking for something that will work well as a road bike but will also be able to handle a little off-road riding. It is an adult’s bike, but the smallest frame size would be suitable for older teens. The price is very reasonable. This is a great option for an all-rounder if you need a bike for mixed use. 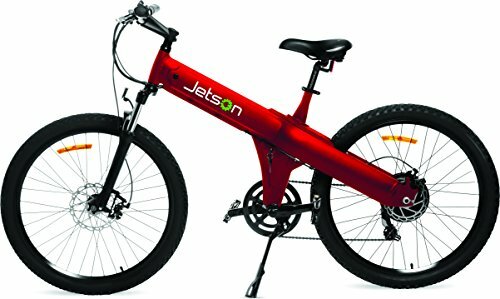 It is comfortable enough over longer distances, so it would be suitable for riding to school and back, but it is also able to handle some moderately uneven terrain so is fine for trips to the countryside too. The 21-speed gear system also helps you adapt to the conditions, whether riding uphill, downhill or off-road, and it is light enough to carry easily if the terrain is too rough. This bike is in a style more suited to women, and fashion-conscious boys might not like it so much. If your teen has been asking for a BMX for his or her birthday, you could do a lot worse than this Mongoose model. 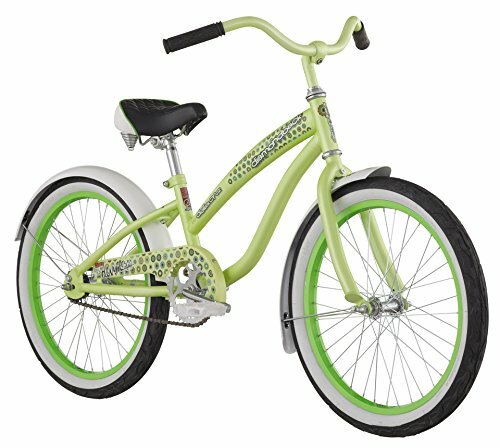 This bike is lightweight and durable and arrives ready to hit the park. It is highly customizable and is an ideal choice for someone who wants a first BMX to take up the sport. Mongoose was one of the originators of the BMX scene, being founded in Southern California back in the early 70s when it all began; the “Legion” model showcases their four decades of experience in making BMXs. The bike looks super-cool too, very important in a teens’ BMX. This bike represents great value and is suitable for kids of around 14 or 15 up. This is an excellent entry-level BMX – but be aware that a BMX is a specialist bike with no gears and is less suitable for road riding over longer distances. This is also not a pro-level bike for advanced BMXers. 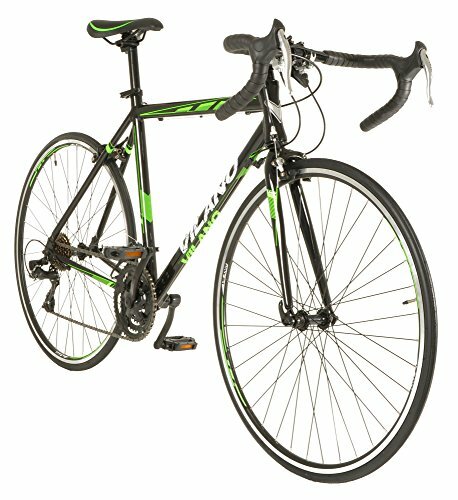 For those looking to spend a little extra on a bike for their teen, this should be high on your list of possibilities. This bike may cost a little more, but the outlay buys you a whole step up in performance and quality. A great choice for a serious mountain biker. Compared to other cheaper models, as soon as you get your hands on this bike, you will instantly realize that everything is of a higher quality. 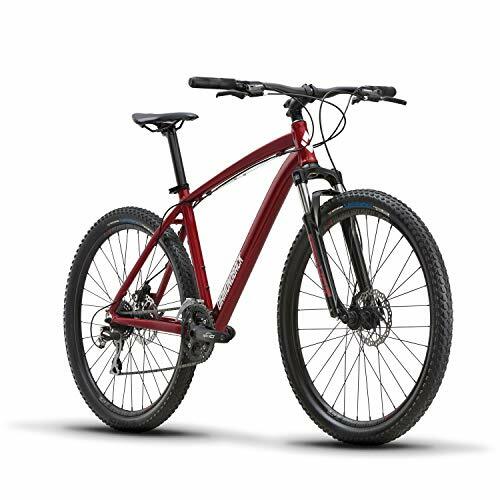 It features 24-speed Shimano gears and a Suntour front suspension fork that will keep your ride on the trail smooth. We loved the chunky look and red paint job, and your teen is sure to agree. This is a bike that is built to last, and you are unlikely to need to replace it anytime soon. It’s super easy to set up and your teen will be out enjoying it not long after you unpack it. On the downside, this bike is a little heavy – you will have to spend even more for a lightweight bike of this quality. It is also on the large size for younger and mid-teens: this is one for older kids. This is a superb girl’s bike for someone looking for an inexpensive option for a younger to mid-teen. It is designed perhaps as a “first bike” rather than as something for a serious cycling enthusiast, but if you are looking for something your little girl will enjoy playing about on, this could be worth a look. One of the main attractions here is the low price; this is a bike for someone who doesn’t want to break the bank. However, it is still excellent quality for the money and does the job admirably. We love the cute retro style, and the mudguards on the wheels and chain will keep your teen clean as she charges about on this. Bear in mind that this simple bike doesn’t have a gear system, so this is not a serious bike suited to long rides. There is no kickstand, which for us is disappointing (but you can always add one). We wanted to include this in our review as it’s something completely different. Bikes are a wonderful way for kids to exercise but an electric bike is an ideal solution for giving them extra mobility before they start driving. It could make an excellent gift for a special occasion. This is such a good idea for teens who want their independence. The bike has a range of 40 miles with a top speed of 20mph. This is perfect since it’s fast enough for them to move about but not so fast that it’s dangerous. We think the bike looks great – and it’s available in three funky colors. It’s fully-chargeable in four hours and is 100% free of carbon emissions, making it an ecological choice too. It can also be pedaled when not in powered mode. The only downsides are that your teen will be getting less exercise on an electric bike and also that it is more expensive than regular bikes – but it’s still an awesome idea for those more interested in mobility than sport. When you are shopping for a bike for a teen, the most basic question you need to ask yourself is what it will be used for most. There are many different kinds of bike, some designed for use on paved surfaces and others suitable for off-road riding. Some are good all-rounders while others are more specialized. You need to ask yourself, will your teen mostly be using the bike to ride to school on hard roads or will they be more likely to use it to go exploring the countryside? Or perhaps they will be doing a bit of both. Once you are clear about this, you can start to think about the different types of bike and the variations on offer. Road bike: Road bikes, as the name would suggest, are designed for use on paved roads. They are lighter than other kinds of bike and the wheels are thinner. They perform well on hard surfaces but are unsuitable for off-road use. Good for the city. Mountain bike: Mountain bikes are the opposite of the road bike. They are sturdier with bigger wheels and more grip. While they can obviously be ridden on roads, they come into their own when you take them off-road. Best in the countryside. BMX: BMXs are specialist bikes used for BMX racing and tricks. These bikes don’t have gears (see below) and so don’t make the best road bikes for long journeys. 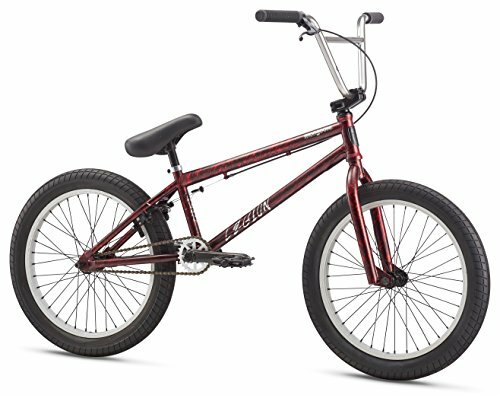 You should probably only consider buying a BMX is your teen specifically wants one. Hybrid: The term “hybrid” covers a wide range of bicycles that combine features of different bikes. An example would a mountain bike-road bike hybrid that is equally good on paved surfaces and off-road. These can be good all-rounders. Choosing the right size for a teen is obviously of vital importance. If you choose a bike that is too big, your child may have trouble sitting on it and using it; this could even make riding the bicycle unsafe. On the other hand, if the bike is too small, you won’t get as many years of use out of it as you might otherwise have hoped. A bicycle is the right size if the rider can touch the ground on both sides with the tips of their toes. If you want the bike to last, choose a bike where this is the case with the saddle at its lowest. Then you can adjust it as your teen grows. Choosing a bike for teens can be tricky. There are many kids bikes on the market, as well as bikes for adults, but there are fewer in the middle. Most adults’ bikes come in varying sizes and by choosing a smaller adults’ bike, your teen will usually be able to grow into it. Gears on any bicycle that will be used for anything other than short rides are a key consideration. A gear system makes it far easier to ride uphill, and for longer journeys, you can change the gear to match your pedaling rhythm. The most common gear system on a bike is known as the “derailleur”. Derailleur gear systems consist of a chain and multiple sprockets. Having more gears makes the bike more adaptable to differing conditions and gradients. At least 21 gears are recommended. Perhaps the best-known manufacturer of bicycle gear systems is Shimano. Other reputable brands include Campagnolo and SRAM. Brakes are another crucial component of a bike, especially when considering one for safe use by teens. It is every parent’s nightmare that their child should have an accident and ensuring the bike you choose has good brakes can help prevent this. Most bikes you will see have a variation on rim brakes. This standard type of brake works essentially by pressing pads onto the rim of the wheel, causing the bike to slow by friction. Another type of brake you may come across is disc brakes. These are mounted on the hub of the bike wheel and are considered to perform better than rim brakes in wet conditions. The weight of the bicycle affects ease of use and handling. A bike that is too heavy is more difficult to control and may even be dangerous in the hands of an inexperienced cyclist. Lighter-framed bikes are faster but often cost more. Weight is dictated to a large part by the material of the frame. At the lower end of the price range, frames are usually made of aluminum. As you approach the higher-end of the market, you will find frames constructed from graphite. There is nothing technical about comfort, but it is nonetheless an important aspect to think about. If the bike is destined for longer rides, it becomes even more important. Is the saddle comfortable? How is the posture? Are the hand grips comfortable to hold for extended periods? While it might not necessarily be the first thing you think about, don’t forget to take the style of the bike into consideration, especially if it is a surprise gift and your teen is not helping you choose. For teens, something like a bike makes a big statement about their personality and style, and young people of that age group are often especially sensitive about such things. Make sure you choose a bike that your kid will enjoy riding and will enjoy being seen riding. Overlook this at your peril! There are many other additions that may feature, from a simple bell (useful if riding in areas where there are lots of pedestrians) to suspension, especially useful if they will be doing a lot of off-road riding on rocky or uneven ground. So what price range should you be looking at? This depends a lot on you, but as a general guideline, if you want a good-quality bike, you should avoid models at the very lowest end of the scale. Anything below around $250 that you can pick up from a general sports store will be inferior quality. Having said that, if you only want a bike for casual use for younger teens and don’t expect them to be making extended journeys on it, you can easily find something sufficient for under $100. On the other hand, you probably don’t need to spend more than around $350-400 for general use. At these prices, you are starting to enter the realms of specialist cycles that are not really necessary for your average teen unless they are looking to take their cycling further. Choosing the best bikes for teens can be something of a nightmare. There are so many models and so many variables and it’s something you can get horribly wrong if you choose a bike without being fully informed. All the bikes on our list are excellent choices, depending on your specific needs and requirements – and of course those of your teen. Remember to think about what they will mainly be using it for – off-road, urban cycling or in the bike park – and don’t forget, for teens, style is all-important! If you keep these things in mind and you follow our guide, we’re sure you’ll make the right decision. Good luck!